There is very little chance that dental implants will fail after their placement, in fact, the success rate is close to 95%. Even so, as in any treatment, complications can occur, usually related to persistent anesthesia in the adjacent nerves or if there was penetration of the maxillary sinuses and the nasal cavity. That dental implants require less care than natural teeth. That implant treatment is appropriate for all patients who have lost teeth. That dental implants last longer than natural teeth and that there are no risks or complications in the treatment with implants. You can eat whatever you like no matter if it’s too hard. These ideas could lead to problems and ultimately losing your dental implant. You should still be careful when eating hard foods… remember, you have already lost a tooth. Even with a dental implant you should be cautious to avoid fissuring the crown. Regarding general health, there are relative contraindications that it is important to consider before carrying out the treatment, it is important to proceed with caution with patients who have suffered a heart attack, suffer from angina, patients undergoing anticoagulant treatments, patients with renal insufficiency , arthritis, rheumatism, anemia, lupus, respiratory failure, osteoporosis and with patients suffering from psychiatric diseases. 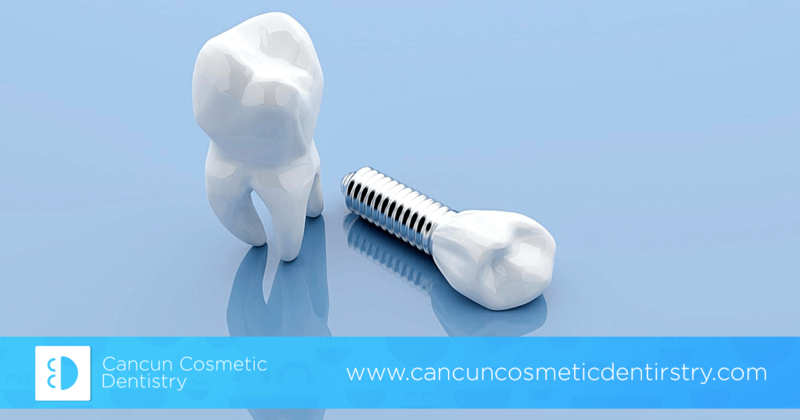 As in any treatment, there are risk factors that can hinder the success of dental implants. For example, survivors of cancer need to be very careful if they got radiation therapy in the area of the head or mouth as the success rate will be somewhat lower, the same happens with diabetic patients. In patients with heart disease, an adequate and detailed clinical history should be made before starting treatment. And finally, as we all know, smoking is harmful in all aspects, so it is expected that smoking with dental implants, especially during the process of osseointegration, will increase the risk of failure of dental implant treatment. Full mouth restoration with All-on-4 or All-on-6 dental implants? How do eating disorders affect my teeth?